It is a term that is used frequently, particularly when discussing innovation, but one with differing definitions…so what is ”quality”? On one hand, we talk of quality in the traditional sense of “it is not quantity, but quality that counts”. Here we talk of bigger and fewer initiatives, delivering breakthrough innovations, and taking bigger and bolder risks. On the other hand, we talk of quality in the more “Six Sigma” sense of eliminating defects and of striving for perfection. In this case, quality is less about the uniqueness and superiority of the product that we deliver, and more about the consistency and lack of mistakes. Essentially, one side of the coin is about being “Amazing” and the other is about being “Perfect”. Both are important, but often in opposition, and an organization’s balance between these two interpretations will significantly impact its priorities, its culture, and its results. 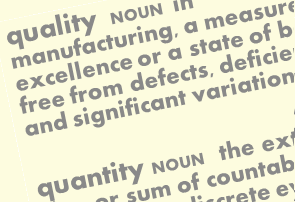 In trying to find a complete definition of “quality”, the best I found came from BusinessDictionary.com: “In manufacturing, a measure of excellence or a state of being free from defects, deficiencies and significant variations…” This definition represents both the degree of “excellence” element as well as the state of being “free from defects” element of quality discussed above. Interestingly, in this definition these two vectors are separated by an “or” and not by an “and”. In practice, I do believe that this is a tension that most organizations face: Is it more important that we be “Amazing” or that we be “Perfect”? The obvious answer is “Both”, but in reality one will get priority over the other. Additionally, the pursuit of one can often actually negatively impact the pursuit of the other. For example, the level of risks required to innovate something Amazing can hinder the pursuit of “Perfection”… and the degree of rigor and rules to deliver “Perfection” can constrain the ability to strive for “Amazing”. So… which vector does your organization emphasize and how does this impact the innovation that you deliver? Clearly, a balance is crucial as both vectors are important in both the short and long-term success of your business. That being said, I would argue that most organizations are putting an over-emphasis on perfecting the “state of being free from defects” rather than pursuing the riskier, more stretching innovations. What is the role of “Quality Assurance” in your organization? Is it on assuring quality via superior products and experiences or is it on insuring a reduction in risks and a minimization of mistakes? This is a critical distinction and one that can dramatically impact your organization’s priorities, reward structure, and culture. Likely, the balance of “quality assurance” centers on the minimization of mistakes rather than on the pursuit of excellence. Again, this is not to trivialize that role, as it is most certainly vital… but simply incomplete. Particularly as we promote to our organizations mantras such as “Quality is everyone’s responsibility” and “Quality is our top priority”, we need to be abundantly clear on what the definition of quality should be. And this definition must include not only the Strive for Perfection… but the Pursuit of Amazing as well. 1) Re-Defining Quality… Driving the Consumer Value Equation. Tomorrow, I will discuss a reevaluation of our definitions of “Quality” and recommend that this designation should be expanded to emphasize driving overall consumer value. 2) First Amazing… Then Actionable. 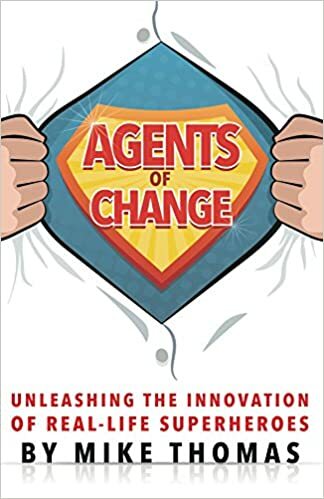 Wednesday, I will look at how “Perfect is the Enemy of Amazing”, and discuss some of the impacts on innovative potential, organizational culture, as well as reward structure. 3) We are What We Measure. Finally, I will discuss on Thursday how “We are What We Measure” and investigate how the rules and measures that we enforce and impose in an effort to assess our organization capability are actually shaping our organization’s results as well. I hope that this will be an engaging and interesting conversation that generates some thought and debate. Quality should be the top priorities for each and everyone one of us in our organizations… the critical step is in aligning and communicating on a complete definition of “Quality” that assumes the right balance of “Amazing” and “Perfect”.